The Lincoln Stars will open play in 2012 with two games this weekend against USHL Western Conference division foes. 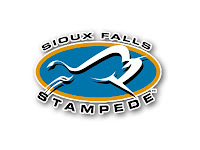 On Friday night at the IceBox, the Stars will host the Sioux Falls Stampede. 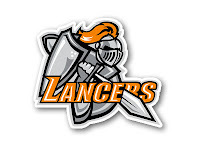 On Saturday evening in Omaha at the Civic Auditorium, the Stars will battle the Lancers. Faceoff for both games will occur at 7:05pm CST. If you can't make to the games this weekend in Lincoln or Omaha, you can follow the boxscores online via Pointstreak, listen to Stars radio announcer Mike Melbye on KLMS 1480 AM, or watch the games on FASTHockey for a fee. Lincoln enters this weekend with a record of 17-9-2 (36 points), and are in sole possession of first place in the USHL Western Conference. Click here to see the current USHL standings. For the first time in nearly a month, the Stars will play a home game at the IceBox this Friday evening. 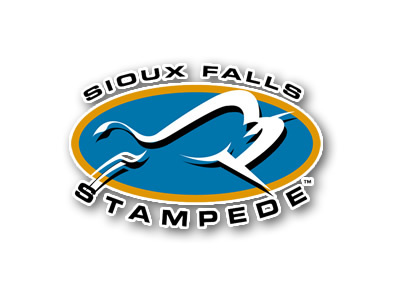 The opponent will be the Sioux Falls Stampede who sport a record of 10-14-1 (22 points), and are in last place in the USHL Western Conference. This will be the sixth time the Stars and Stampede will play each other this season. In their previous five tilts, the Stars have a record of 4-1-0 against the 'Pede. Although they are in the western conference cellar, the Stampede are not a bad hockey club. They have two very good goaltenders in Stephon Williams and Charlie Lindgren, and as a team, they play very good defense. Through 25 games this season, Sioux Falls have only given up 75 goals, which is the least amount surrendered by any team in the USHL Western Conference. The problem the Stampede have had all season is that they just can't put the puck in the net. Through 25 games, Sioux Falls have only managed to score 53 goals, which is by far the least amount scored by any USHL team. The Stampede don't have any players on their roster who have scored at least 15 points this season, while the Stars have six players who have scored at least 15 points. They don't score a lot of goals, and they don't give up a lot of goals. That's the Stampede in a nutshell. On Saturday night, the Stars will go to war once again with their rival to the north, the Omaha Lancers (16-10-2, 34 points, second place in the USHL Western Conference). For the majority of the 2011-12 season, the Stars and the Lancers have at times both occupied first place in the west. This will be the third time this season the Stars and Lancers will play against each other. Starting with their game this Saturday, Lincoln will face Omaha three times in their next six games. For the next few weeks, these two teams will become very familiar with one another. The Stars and the Lancers have split their two previous matchups this season. On 11/12/11, Lincoln beat Omaha by a score of 2-1 at the IceBox. The Lancers returned the favor in a big way on 12/2/11 with a 7-2 blowout win over the Stars, also at the IceBox. I'm sure that lopsided home loss is still fresh on the minds of the Lincoln players and coaches, so it will be interesting to see how they play in Omaha this Saturday. The Stars have yet to play the Lancers at the Civic Auditorium in Omaha this season, and it sounds like it will be another big crowd. I'm running out of time tonight to get this article up on the blog, so I'm going to cut it short. I'm really looking forward to getting back to "church" (the IceBox) this Friday night for another hockey game. It seems like forever since I last saw the Stars play at home. I was starting to get live hockey withdrawals. :) Although I know a lot of Stars fans will be going to Omaha on Saturday night, I will not be in attendance. So I hope to later hear from those who made the trip. Thanks for reading! Let's get four points!